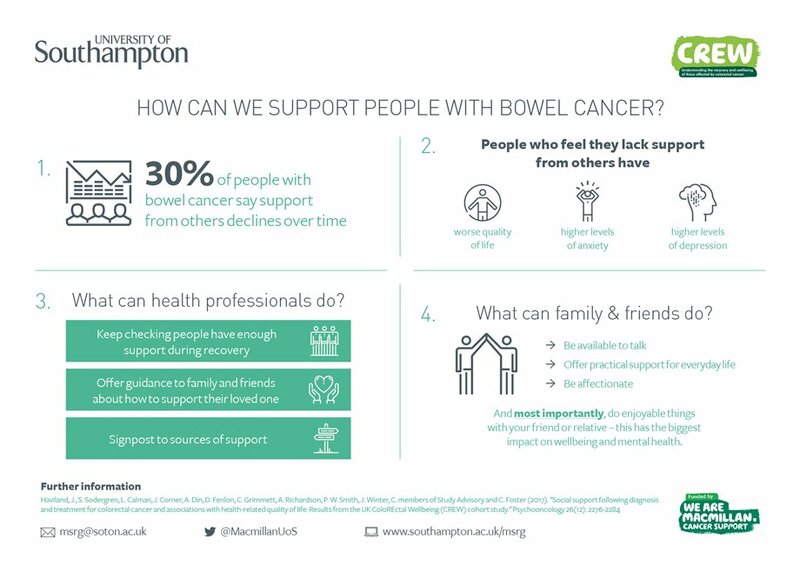 The purpose of this study was to follow a thousand people who had colorectal cancer to map out the path of recovery over time, to look at how long it takes to feel healthy and well again after cancer. Although it is known that people who have had cancer are likely to suffer a number of problems, both mental and physical, as a result of the disease and treatment; the normal course of recovery has not been described before. If you would like further information about this research programme please contact the MSRG team on telephone 02380 596885 or email us at msrg@soton.ac.uk.